When you’re setting up a new business your focus tends to turn to the task at hand. And there will be a lot of them from setting up pay roll to handling awkward suppliers.This can often mean you end up neglecting yourself. In the short term, making some sacrifices is fine – but if you continue on this path it can lead to serious health issues. Not just physically but also mentally. Here are a few ways to stay fit and healthy during those early years. Breakfast can be missed, lunch delayed inevitably and dinner reduced to a supermarket sandwich at your desk. And while we realise that having three set meals a day can be tough when you’re running a new company, eating well is one of the most important aspect of keeping healthy. • Energy: If you don’t eat, you’ll start to flag. Keep energy bars on hand for these occasions and try and have one high-energy meal a day. A big bowl of pasta for lunch is ideal or some porridge for breakfast. 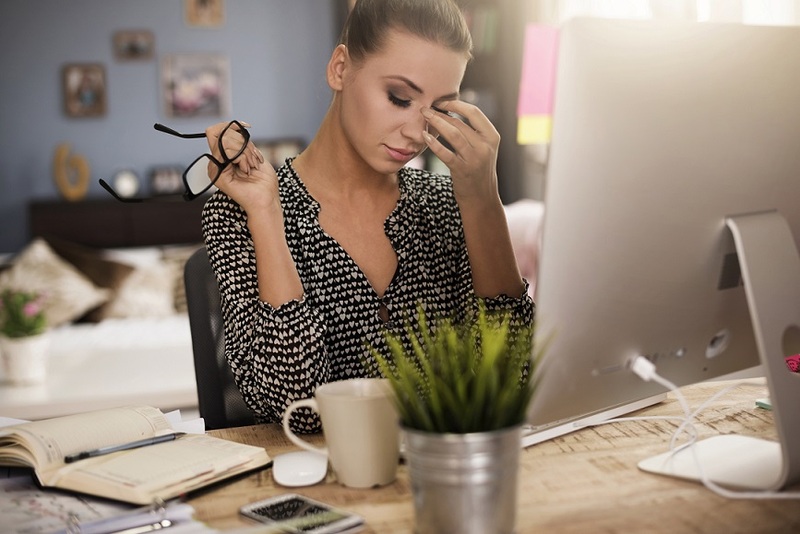 • Nutrition: This may seem like a low priority but keeping your vitamin and nutrition levels up will help you cope with the stresses of all the hard work. 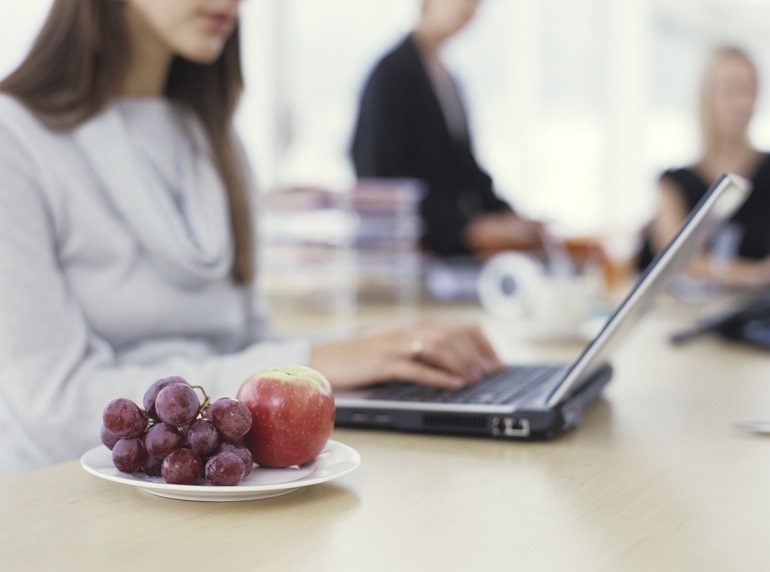 Keep a bowl of fruit in your office to snack on during the day. • Keeping sickness ay bay: Eventually, a poor diet and too much hard work will lead to you becoming ill, which will put you even further behind at work. And it’s not just food – you’ve got to think about what you drink. Ditch the alcohol at night, so you’ll sleep better, and reduce your caffeine intake. Try replacing that 3rd cup of coffee with a glass of water or fruit tea. I can here you all shouting, “I don’t have time for a break!” But you’ve got to find it. Even if it’s just an afternoon off, it can help. Go out for a walk in the countryside or zone out at the cinema. Anything to take your mind off work and to relax your body. Socialising with non-work friends is a good idea – agree once a fortnight to meet a few after work for a drink, chat or meal. Laughter can help keep you happy and healthy. And try and sleep well – turn off your work mobile at least an hour before bed, ditch the tablets and close the curtains. Keeping fit helps both body and mind. Try walking to work instead of driving or going for a brisk walk during lunch. Just 20 minutes of fast walking a day is enough to keep you healthy. Exercise also helps boost your happiness levels as hormones are released throughout your body. If it all starts to get too much, and you can’t see the light at the end of the tunnel anymore, then reach out to someone. Family and friends will always be on hand to offer support and advice but sometimes talking to someone who you don’t know can be more helpful as there’s no pre-judgment. Try the Samaritans helpline – even if it’s just to tell someone all your problems, getting them off your chest can help. This entry was posted in Blog on 5th April 2016 by Julie Tucker.